It’s another Father’s Day without Dad. We lost him to cancer when he was 51, and so every time I hear Diamond Rio’s “One More Day,” it makes me ache for that kind, easy-going, quiet, simple man who taught Sunday School, was a deacon in our church, and chased us kids around the yard as pretended to be the big, bad wolf from the Hansel and Gretel fairy tale. His was not the life of a high-powered CEO or politician or world traveler but he was the world to us. The oldest of five children growing up in Amelia County, he was a child of the Depression who quit school after eighth grade to help support his financially-strapped family before enlisting in the Navy as a teenager to serve during World War II. Trained as a gunner on the USS Wisconsin, he traveled to exotic places around the South Pacific while the world was at war and, when it ended, he came home to Virginia, settled in Richmond, married, and raised three daughters. One of his joys throughout the years was traveling to southwest Virginia to attend the Galax Fiddler’s Convention to listen to hours of bluegrass music, a genre I didn’t fully appreciate until long after he was gone. His other joy was camping in Shenandoah National Park. We could not afford pricey vacations so our parents took us to the mountains from the time we were very young where Dad was a naturalist before it became fashionable. He was mindful of those protected surroundings, teaching his girls to leave the flowers for others to enjoy, pack out our trash, be respectful of the animals who lived there, and most of all to enjoy the beauty that is Virginia. 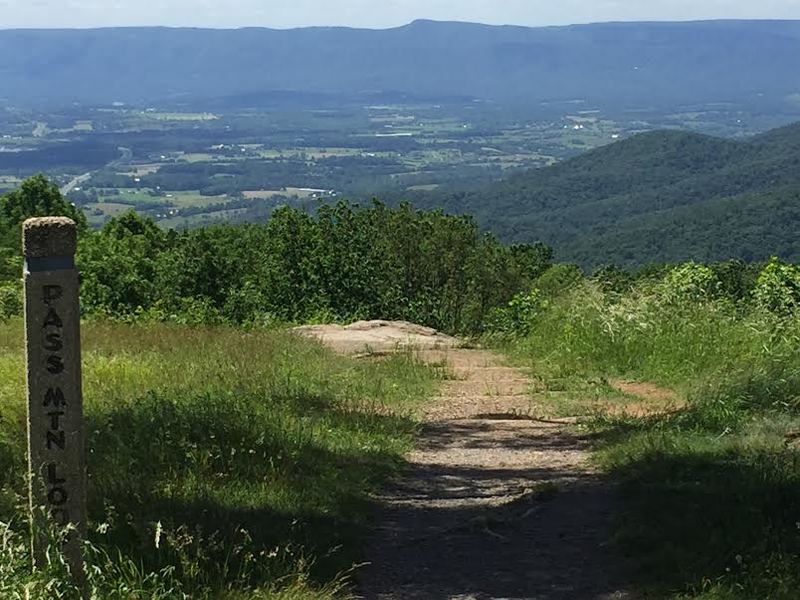 Diamond Rio’s song sharpens the realization that if I could have just one more day with him, it would be sitting around a campfire in Shenandoah National Park as the sun lowered behind the Appalachians … one more time.